Well, nine seasons and two movies worth of “X-Files” adventures aren’t necessarily easy to summarize quickly, but our dear old friend Mulder (David Duchovny) does his best with a three-minute opening sequence that covers everything from the abduction of Mulder’s sister to the many hardships experienced by Mulder’s erstwhile partner in life Scully (Gillian Anderson) to a brief history of UFO sightings over the last 60 or so years. After we see a UFO crash to earth in 1947, we snap back to the present where Mulder and Scully are living separately, and Mulder’s living largely off the grid. But Scully still knows how to get in touch with him, which is how the pair of them end up meeting with “a popular conspiracy theorist web-TV show host” named Tad O’Malley (Joel McHale), who, in turn, brings them to meet Sveta (Annet Mahendru), a multiple abductee whose experiences might be the evidence Mulder needs. Of course, that evidence proves elusive, despite Scully returning to do some science — specifically, testing Sveta’s blood as well as her own for evidence that their shared pasts as abductees have led to them. Mulder and Tad are pretty sure they’ve got the whole alien conspiracy all figured out, but then a terrified Sveta recants her story, Tad goes into hiding and a bunch of stuff gets exploded (including maybe Sveta). We leave things with Mulder and Scully reunited to investigate weird stuff together — and along the way get to the bottom of the conspiracy that could take over the world. There’s a secret government conspiracy to take over the world. The bad guys are blowing up stuff and people to keep the truth from getting out. Scully has alien DNA in her system. Their old boss Skinner reopens The X-Files so Scully and Mulder can look into why that is. Oh, and Cigarette Smoking Man isn’t dead after all. Different decade, same ol’ “X-Files.” Sort of. So, the below photo, provided by Fox publicity several weeks ago, was clearly taken during the shooting of Mulder and Scully’s first scene together in this episode. It is, however, a moment that was apparently cut from the final episode. We will be creating the requisite petitions protesting this decision accordingly. Beyond that, we have some vague talk about the end of Mulder and Scully’s relationship, including a veiled reference to “for better or for worse” that (gasp!) could mean they were legally married at some point? One of writer/director Chris Carter’s favorite games is to explain as little as humanly possible about the 20-plus year relationship between his two central characters, which some people might find… frustrating. But, hopefully, this section of our reviews won’t be neglected in weeks to come. Meanwhile, Mulder’s hair, as befitting his outsider status, has gotten shaggy — something which in theory changes in future episodes (presumably as he gets back into FBI suit-wearing shape). Symbolic haircuts are always fun, so we’ll look forward to that. Oh, and Skinner’s got a salt and pepper-ish beard now. It’s working for him, I think. Who knows what went into building a replica of the original X-Files office that feels recognizably authentic without many of the trappings we remember fondly (save of course the “I Want to Believe” poster, though Mulder doesn’t treat it particularly kindly). Will Mulder and Scully be working out of that office in weeks to come? Hopefully, yes, though maybe this time they can get Scully a desk of her own. There are entire scenes of “My Struggle” where the dialogue feels clunky and out of sync with not just our memories of the show’s greatness, but the way real people in the real world talk to each other. But Mulder and Scully’s big blow-up is especially over-the-top, checking off a number of “X-Files” catchphrases without finding any real substance to them. Honorable mention, by the way, to the four-minute sequence that’s nothing but B-roll and stock footage accompanying Mulder and Tad shouting at Sveta and Scully explaining the government conspiracy to take over the world. The promise of these final moments of the episode invokes so much of what we originally loved about “The X-Files”: Namely, Mulder and Scully, working together to fight the darkness. The plot motivations that got us here are at times unwieldy (I’ve never been a government employee, but I’m pretty sure that re-enlisting in the FBI isn’t as simple as it seems here), but that final scene did recapture that old energy, with a modern twist. There are some actors really giving it their all here. 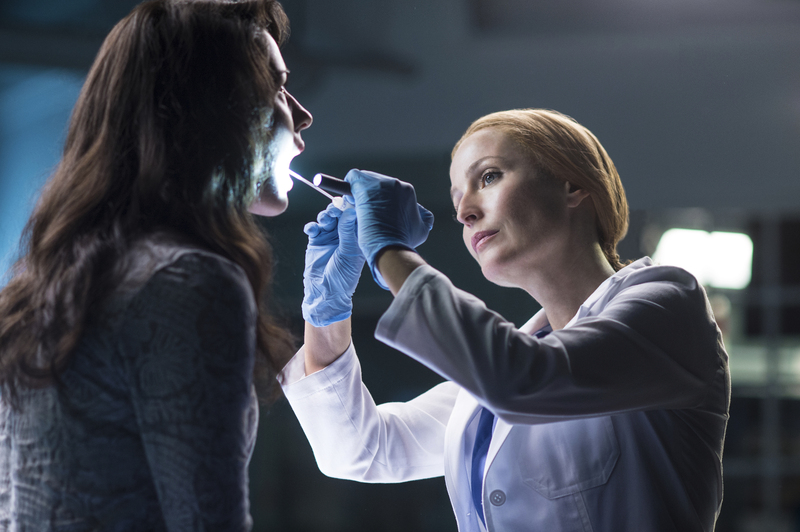 Mahendru is especially committed despite the yo-yo-ing her character undergoes, and while for much of the episode, Mulder and Scully feel out of joint, you don’t get the sense that it’s because Duchovny and Anderson didn’t show up to play. Really, what watching this episode reminded me of is the fifth season premiere “Redux I,” which might have been made during the height of the show’s popularity, but was clunky and awkward in many similar ways — including, believe it or not, an extended sequence combining voice-over with archival footage to explain the latest version of the conspiracy. But the follow-up, “Redux II,” was actually a good episode, so maybe that means “My Struggle II” — which is set as the finale for this brief Season 10 — will redeem “My Struggle” to some extent. 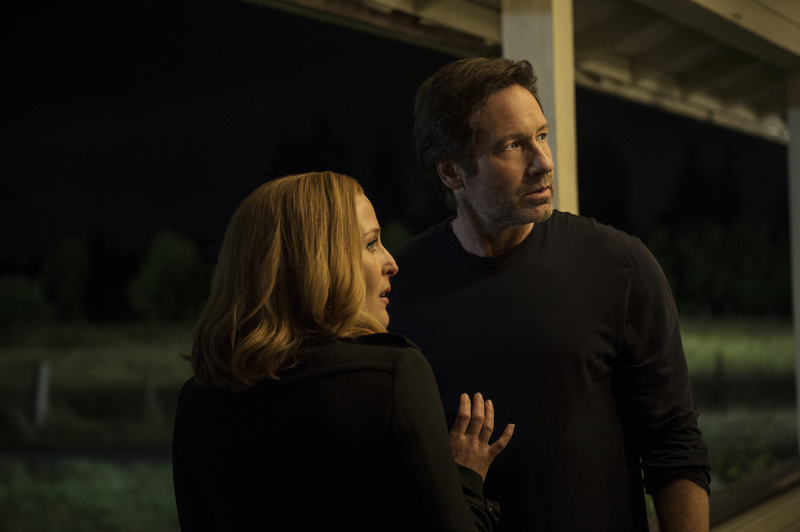 “The X-Files” at its core is a show about faith and trust, and while “My Struggle” did some damage there, we’re still looking forward to more.